For home and away jerseys in North America, historical convention has often dictated the colors used by teams in a given league. Teams generally have one jersey which is primarily in a team color, and another jersey which is primarily white (or another light color) and accented with a team color. "White at home" is the convention in baseball (MLB), basketball (NBA, NCAA basketball, and WNBA), minor league professional hockey (AHL and ECHL), and college hockey. "White while away" is the convention in football (NFL, CFL, NCAA football), major league professional hockey (NHL), and professional lacrosse (NLL and MLL). Association football (MLS) does not have a "white at home" or a "white while away" convention. The conventions are not necessarily rules, although some leagues do enforce the conventions on occasion. Sometimes the home team has the first choice of color, with the visiting team forced to choose a contrasting color. Teams thus create a third jersey in a third color, to ensure that they will always have an appropriate selection for the game. In American sports, throwback jerseys are generally only used for special team games and not for the "third" purpose. In American football a third jersey may be a throwback uniform based on designs the team used in the past. In association football, meanwhile, it is more commonly a radically different design. The NFL was the last of the major professional sports leagues to adopt the third jersey rule in 2002, with the only exceptions being the 1994 season, when teams issued a throwback uniform in honor of the league's 75th Anniversary. Initially, the NFL rule stated that a team may wear their third jersey only once a year, however, after one year this restriction was increased to twice a year. There are currently no rules on wearing alternate pants. Teams are also permitted to wear alternate jerseys as often as desired in playoff games (except the Super Bowl, where teams must wear their standard uniforms); the only team to do so (other than in 1994) was the 2008 San Diego Chargers. Some teams will generally use one of their third jersey allotments against a particular division opponent each year. For instance, the San Diego Chargers would frequently wear their popular powder blue third jerseys at home against the Oakland Raiders, while the Houston Texans were known to wear their "Battle Red" third uniforms at home against the Jacksonville Jaguars and the Pittsburgh Steelers are known to wear their throwbacks at home against the archrival Baltimore Ravens. The New York Giants were known to wear their red third jerseys at home against the Dallas Cowboys until the red jerseys were retired in 2009. The Washington Redskins wear their alternative uniform on home games to commemorate their annual homecoming game once a year since 2012. When wearing their third jerseys, especially if the team is wearing a throwback uniform, the team may theme the field around the uniforms. When the New York Jets, for instance, wore their 1960–1962 "Titans of New York" throwbacks at home, they painted the field in the Titans blue-and-gold color scheme (The Jets' current color scheme is green and white). In addition, the Tampa Bay Buccaneers dressed the field up in Orange when they wore their Creamsicle throwbacks in 2009. Teams will generally wear their third jerseys at home, although clubs may wear them as the visiting team as well. The Carolina Panthers are known to wear their electric blue third jerseys on the road (most notably in Tampa) if the home team opts to wear their white jerseys against the Panthers and depending on the circumstance. Since introducing a wolf grey alternate in 2012, the Seattle Seahawks have exclusively worn their alternates on the road. The Denver Broncos wore their alternate navy blue jerseys in a game against the Dallas Cowboys in 2013. The Jets have worn their Titans throwbacks once in 2007 against the Miami Dolphins at Dolphin Stadium in Miami Gardens. Because the football helmet is such a significant and visible part of the football uniform, some teams also wore alternate helmets when wearing their third jersey. This was particularly true for throwback uniforms, such as those worn by the Steelers (yellow), Jets/Titans (yellow), and Buccaneers (white). The NFL outlawed the use of alternate helmets beginning in the 2013 season. Outside of league-wide promotions, only two teams have not had an official third uniform as of 2016: the Kansas City Chiefs and Oakland Raiders. For the 2015 season, the NFL debuted a "Color Rush" jersey concept for select Thursday games (Thursday Night Football and one Thanksgiving Day game) in celebration of 50 years of games being broadcast in color. The games featured, mostly, both teams wearing one color matching jerseys, pants, socks and shoes, specially designed to clash with the color of the other team. December 17: Tampa Bay Buccaneers (Red) at St. Louis Rams (Yellow Gold). Although uniforms are much less regulated at the collegiate level compared to the NFL, alternate uniforms – and even regular uniform redesigns – are generally less common due to many teams' respective histories and traditions surrounding a particular jersey color or uniform combination. Ole Miss was one of the earliest programs to use two different jerseys, wearing the school colors of navy blue and red depending upon the game. Recently, however, many teams have begun to experiment with alternate uniforms and helmets, especially teams whose uniforms are provided by Nike. Since the late 2000s, Nike has provided the University of Oregon Ducks with modular uniform systems consisting of as many as four color choices for jerseys, pants, helmets, socks and other components, allowing the Ducks to select a new combination for nearly every game. One of the more famous third jerseys is that of the University of Notre Dame. The team wears either white or navy blue for most games, but occasionally special kelly green jerseys with gold numbers, evocative of the "Fighting Irish", are chosen for a major contest. Roberto Soldado wearing the 2013–14 Tottenham Hotspur third kit. Third kits existed in English football at least as early as the 1930s. Until 1989–90, the FA Cup competition rules stated: "Where the colours of the two competing clubs are similar, both clubs must change unless alternative arrangements are mutually agreed by the competing clubs". Away kits were often similar as well, therefore third kits were worn in the 1948 FA Cup Final by Manchester United and the 1950 final by Arsenal. Similar rules were employed by European governing body UEFA, with Manchester United winning the 1968 European Cup Final in a blue third kit. Teams sometimes needed to find makeshift third kits for their players. One notable example being France having to wear the green-and-white stripes of local club C.A. Kimberley for their 1978 World Cup match against Hungary, as both teams were only equipped with their white change shirts for the game. Third kits in international football are less common, both teams are advised to change colours in the event of a home kit clashing. England prepared light blue third kits for the 1970 and 1986 World Cups, which was only worn for the former, and Spain introduced a white third kit for the 2014 World Cup, upon the advice of FIFA. Since the 2000s, most clubs in major European leagues have used a third kit, or had one in reserve. Replicas of the kits are usually sold at club merchandise shops. Sometimes, a previous season's away kit is retained if a clash arises. One notable incident occurred in 1996, when Manchester United changed into their blue and white third kit at half-time, with manager Alex Ferguson blaming the grey away kit for several sub-par performances. Ferguson commented, "The players couldn't pick each other out.[...] They said it was difficult to see their team-mates at distance when they lifted their heads". After decades of wearing the same uniforms, Major League Baseball teams began to experiment with numerous designs in the early 1970s, ranging from popular designs (such as the Oakland Athletics' pullover jerseys that most MLB teams later adopted) and not so popular (such as the Chicago White Sox wearing shorts, or the Cleveland Indians wearing all-red). Among such designs that were also tested were third jerseys, to break the traditional mold that baseball teams wear white uniforms at home, and gray on the road. This began in 1972 when the A's flamboyant owner, Charles O. Finley, introduced new uniforms to the team. Taking after the lead of the Pittsburgh Pirates, the jerseys were pullover spandex that would later catch on in MLB (though this would be phased out by the early 1990s in favor of the more traditional button-down jerseys), but by going one step further than the Pirates, the A's introduced alternate gold and green jerseys. The gold jerseys, lighter in color, were considered "home" alternates while the darker green jerseys were considered "away" alternates. Soon, many teams caught on with different colored jerseys. The Pirates even went as far as to having a rotation of which jerseys to wear, matching white pinstriped, gold, and black pants to wear with jerseys of the same color. The white pinstripes were later phased out in favor of solid white. The New York Yankees have generally shunned the practice of third jerseys. The Yankees wore three different jerseys in 1911, 1916, and most recently in 1943 according to the Dressed to the Nines database maintained by the National Baseball Hall of Fame. In recent years, the Yankees have worn throwback uniforms for single games in 1996 and 2012. Third jerseys otherwise remain popular in baseball today, either as an alternate design or as a throwback known as "Turn Back the Clock Night." The Milwaukee Brewers, for example, have worn a variation of their 1978–1993 home uniforms for every Friday home game. In 1999, the Seattle Mariners hosted the Kansas City Royals for a game where both teams wore "futuristic" uniforms meant to represent the year 2027 (what will be the Mariners 50th season). The "Turn Ahead The Clock" promotion was so successful that it was copied the next year by 20 MLB teams, this time representing the year 2021 (due to sponsorship by the real estate company Century 21); however, the jerseys were roundly ridiculed and have not been seen since. The Toronto Blue Jays change from their traditional blue and grey jersey to a red alternate jersey every Canada Day (July 1) to help celebrate the national holiday (and with it, a cap with a red maple leaf on it, which is Canada's national symbol). In 2007, the Jays announced that as part of the team's popular "Flashback Friday" promotion, the team would use replica uniforms based on the powder-blue road uniforms used in the 1980s at all Friday night home games, starting with the 2008 season. To complete the look, the Jays also wore the original blue and white caps, with their traditional logo on the front of the uniform as well as on the caps. The Tampa Bay Rays wore a black alternate from 1998-2000 when they were the Devil Rays, and from 2005–07 they wore green alternate jersey worn both at home and away on selected games. When they changed their name to the Rays, they introduced an alternate navy blue for home and away games to go along with their white and gray uniforms. In 2010 they added light blue jerseys to be worn only on Sunday home games. The Cincinnati Reds wear a red alternate at many afternoon home games, and the Atlanta Braves wear a red jersey for every home game played on Sunday, while the Washington Nationals wear red for all weekend home games, and in 2011 have done so for most weekend road games as well. The Pittsburgh Pirates wore a red alternate for every home game played on Friday during the 2007 season, even though red is not an official team color. Since 2009, the Boston Red Sox wore a red alternate jersey for Friday night home games and a blue alternate jersey for Friday night away games. Also since 2008, for every afternoon home game, the Kansas City Royals wear powder-blue jerseys almost reminiscent of the old jerseys they wore in the 1980s (and in 2010 introduced new powder-blue caps to be worn with these jerseys, though they have since gone back to wearing their normal blue caps). The San Francisco Giants wear orange jerseys during all Friday home games. The Philadelphia Phillies introduced an alternate cream-colored uniform (with a blue cap to complete the look) in 2008 and currently wear it for all afternoon home games. Most recently the Mariners revived their teal jerseys from the mid-1990s, to be used on Friday and Monday home games. In 2015 they also introduced an alternate version of their home uniforms, using the team's classic blue-and-yellow scheme on cream uniforms, to be worn on Sunday home games. The Baltimore Orioles wear alternate black jerseys (with a cap showing the "O's" script logo) every Friday, regardless of whether they are home or away (home games against the Red Sox would force the latter to wear their regular grey uniforms rather than their navy Friday uniforms), and in 2012 they introduced an alternate orange jersey to be worn during Saturday games. In 2013, the New York Mets introduced two different blue alternate jerseys; one has their team name on it (in orange lettering) and is used at home, while the other has their city name on it (in gray lettering) and is used on the road. Prior to that, the Mets wore two black alternate jerseys in a similar fashion as their current blue alternates. To honor the U.S. military, during Sunday home games, the San Diego Padres originally sported special camouflage-colored jerseys (with green caps to match); in 2011 the camouflage jerseys were changed to a brown/tan "desert camo" with a tan cap. Then in 2016, the Padres replaced them with a new "navy camo" jersey (honoring the U.S. Navy) with a blue cap. Also, they released a modernized version of the franchise's classic brown jerseys with brown-and-yellow caps (which was originally worn from 1969-1984) to be worn for Friday home games. In contrast, the Chicago Cubs frequently wear a blue alternate jersey, whether at home or on the road, and not according to the day of the week. This jersey is worn based on the decision of the starting pitcher (particularly when Carlos Zambrano was scheduled to start), thus explaining why it is worn more often than other third jerseys. After the death of Harmon Killebrew in 2011, the Minnesota Twins decided to wear their cream-colored "throwback" third jersey – a direct replica of the uniforms used for most of Killebrew's career – for every home game for the rest of the year. The Milwaukee Brewers have two alternate uniforms with the same color, with one featuring the team nickname and used on home games, the other featuring the city name and used on away games; in addition to their regular alternates, since 2011 the Brewers have, during various "Heritage" games, worn uniforms with "Cerveceros" ("Brewers" in Spanish), "Bierbrauer" (German), "Birrai" (Italian) and "Piwowarzy" (Polish); their opponents during those games would usually also have the foreign translation of their own team name on their road uniforms, such as "Piraten" ("Pirates" in German) or "Cardenales" ("Cardinals" in Spanish). More recently, there is also a trend towards alternate grey uniforms. The San Francisco Giants wear a different version of their road grey uniforms, featuring the interlocking "SF" instead of the city name in full. This design is similar to the road uniforms the team utilized in the late 80's. The Dodgers and the Cubs have followed suit in wearing alternate grey uniforms, sporting the team name in front (rather than the city name) for their grey alternates. The trend toward multiple uniforms of the same color can also lead to on-field mix-ups: in 2011, Brewers pitcher Zach Greinke, making a pinch-hitting appearance, accidentally wore the "Bierbrauer" jersey the night before German Heritage Day, while in 2014, just three games into the first season where the alternate was introduced, outfielder Junior Lake played the first inning in a "Chicago" jersey while the rest of the team wore "Cubs". Among major-league teams, the Arizona Diamondbacks have the most alternate jerseys, with seven. The concept of the third jersey in the NBA was first introduced when the Atlanta Hawks wore neon green alternate jerseys in addition to their standard blue road and white home jerseys during the 1970–71 and 1971–72 seasons. However, it was not until the mid-1990s that third jerseys became a common trend throughout the league. The 1994–95 season brought the first wave of third jerseys in the NBA, as the Hawks, Charlotte Hornets, Detroit Pistons, Orlando Magic, Phoenix Suns and Sacramento Kings released new alternate uniforms. The trend continued in the 1995–96 season with the Chicago Bulls, Miami Heat, Milwaukee Bucks and New York Knicks introducing their own third jerseys. Since then, third jerseys became a regular part of every NBA team's uniform rotation, but at first, not all teams were receptive with the concept. For instance, the Boston Celtics and Los Angeles Lakers initially refused to join the trend out of respect to tradition, but they eventually unveiled new alternates in the 2002–03 and 2005–06 seasons respectively. The third jersey trend only got stronger when the NBA signed exclusive uniform contracts with Reebok and later Adidas. The Adidas deal, in particular, saw the introduction of additional alternate uniforms in an effort to boost jersey sales; examples include the Golden State Warriors' sleeved alternates and the Heat's monochrome uniforms. In addition to third jerseys, there are also holiday-themed jerseys that are worn only on special occasions. These include the jerseys worn on Christmas Day, Chinese New Year, Mardi Gras (for the New Orleans Pelicans), and Saint Patrick's Day. Other alternate uniforms in the NBA include the "Noche Latina" uniforms, military-inspired uniforms, and "Pride" uniforms, all of which were also concepts introduced by Adidas. NBA teams were only allowed to introduce a new third jersey at least two years after unveiling a new logo and uniform set. This rule has since been relaxed somewhat, following more recent third jersey releases by the Utah Jazz, the Brooklyn Nets, the New Orleans Pelicans, the New York Knicks, the Philadelphia 76ers, the Phoenix Suns the Charlotte Hornets and the Atlanta Hawks, in which some of the teams release their alternates on the same day as their regular home and away set. Teams are also allowed to wear their third jerseys as often as desired during the first three rounds of the NBA Playoffs and the NBA Finals. Per the NBA Rule Book, there is no official rule that states that teams are restricted on wearing alternate uniforms or white at home during the NBA Finals. They only requirement stated is from Section VI, c. which states, "The home team shall wear light color jerseys, and the visitors dark jerseys unless otherwise approved. For neutral court games and doubleheaders, the second team named in the official schedule shall be regarded as the home team and shall wear the light colored jerseys." An example of this was when the Cleveland Cavaliers won the 2016 NBA Finals in a dark blue alternate jersey. The Canadian Football League first introduced the use of a permanent third jersey on September 6, 1994 when the Calgary Stampeders wore black uniforms for the Labour Day Classic against the Edmonton Eskimos. The CFL did not have a rule for use of alternate uniforms and teams were able to wear them as often or as little as they liked, a rule that is still in effect today. 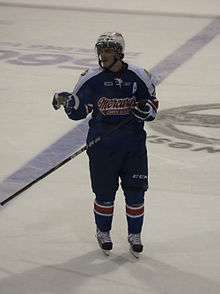 Teams are also able to wear multiple alternate jerseys within the same season, as seen with the Montreal Alouettes during their 2009 campaign when they wore alternate black, blue, and throwback jerseys, in addition to their regular home and away uniforms. Teams are also permitted to wear their third jerseys as the away team, provided that they do not clash with the home team's uniforms. Despite teams having no restrictions with third jerseys, only the Stampeders chose to wear them during the 1990s, presumably due to the league's financial struggles during this decade. As such, no CFL USA team ever wore an alternate uniform. The Alouettes were the next team to introduce third uniforms in 2001 when they also wore black uniforms; a colour that was not part of the team's colour scheme. The Saskatchewan Roughriders first wore their black alternates in 2002 as it became more normal for teams to wear these jerseys. The BC Lions wore orange retro uniforms twice during the 2003 season as part of the celebrations for their 50th season, but those were only worn for that season. In the 2005 CFL season, Reebok redesigned the primary home and away uniforms for all nine teams and also introduced new alternate uniforms for six teams, with the Hamilton Tiger-Cats and Toronto Argonauts abstaining and the Saskatchewan Roughriders keeping their alternates that they had been using since 2002. Calgary introduced the third iteration of their black uniforms while the Alouettes wore a blue jersey with red numerals. The BC Lions, having now converted to orange as the primary jersey colour, wore black alternates, the Edmonton Eskimos and Winnipeg Blue Bombers wore their own versions of gold alternates, and the Ottawa Renegades wore red alternate jerseys. For 2006, the Tiger-Cats introduced gold alternate jerseys on August 12, 2006 in a game against the Argonauts. This season also saw the first case of both teams wearing alternate uniforms as the Alouettes brought back their black uniforms in a home game against the Eskimos who wore their gold jerseys. The Winnipeg Blue Bombers also wore their alternate gold jerseys as the away team for their playoff game against the host Toronto Argonauts. The Toronto Argonauts were the last CFL team to wear a third jersey as they wore alternate Cambridge blue uniforms on July 26, 2007. The league recognized the history of its teams by having member clubs wear throwback uniforms beginning with the 2008 CFL season with the Toronto Argonauts and Winnipeg Blue Bombers wearing 1950s-style uniforms for two games featuring both teams. The CFL then had all eight current teams wear 1960s-based uniforms for the 2009 CFL season and 1970s-based uniforms for the 2010 CFL season. These differed from the designated third jerseys in that most were for one season only, except for the Saskatchewan Roughriders white retro jersey and the Winnipeg Blue Bombers royal blue retro jersey that were worn in subsequent seasons. These throwback uniforms were worn to lead up to the 100th Grey Cup celebration. Following the league-based retro initiative, the league then turned its attention to a modernized take on all nine teams (including the expansion Ottawa Redblacks) by introducing Signature uniforms mostly in the 2014 season. The Lions first wore their Signature uniforms in 2013 as part of their 60th season celebrations with the other eight teams following suit the following season. The uniforms were worn twice by each team except for Ottawa who wore theirs three times and Winnipeg who wore theirs once. In 2015, Winnipeg abandoned the uniforms altogether, as did the BC Lions, despite their popularity in BC. Every other team wore theirs twice during 2015 except for Hamilton, who wore theirs once on Labour Day. With the league-wide redesign of uniforms by Adidas in 2016, Calgary, Edmonton, and Montreal each retained their signature series uniforms and each wore them twice during the regular season (Calgary also wore theirs in the West Final game). 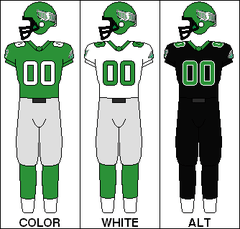 Saskatchewan also wore a modified version of their retro-themed uniforms in two games that year. 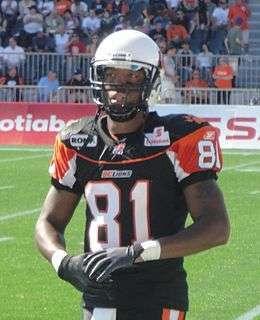 BC Lions – Introduced a black alternate uniform in 2005 loosely based on the 1960s jersey, initially worn with white helmets. Switched to orange helmets with black uniform from 2006 to 2008, including the 2006 West final and 94th Grey Cup win. Worn with black retro helmets in 2009 and 2010 seasons. Retired the jerseys in 2011 wearing white helmets, in the final game at Empire Field. Introduced gunmetal uniforms, first worn on August 17, 2013, and worn twice during the 2013 and 2014 seasons, including an away game in Toronto on August 17, 2014. The Lions did not wear a third jersey in 2015 or 2016. Calgary Stampeders – First to wear third uniforms when they introduced black alternates with red numerals in 1994 on September 6 against Edmonton. They were the first team to wear alternates during a playoff game and the first to wear alternates during a Grey Cup game, which they did in the 86th Grey Cup in 1998. Those black jerseys were retired following the Grey Cup win and new black alternates with white numerals were unveiled in 1999 that were worn until 2004. They first wore black pants with the black jerseys on October 18, 2002 at home vs. the Winnipeg Blue Bombers. The third version of black uniforms were worn on Labour Day in 2005 and were last worn on September 2, 2013. 2011 was the first time the Stampeders wore black helmets with the black uniforms. The Signature series uniforms were first worn, also on Labour Day, for the 2014 season and again in 2015 and 2016. They were also worn for home playoff games in all three years too. Since 1994, the Stampeders have worn black on Labour Day 14 times. Edmonton Eskimos – First wore their gold alternate jersey on September 9, 2005 against the Calgary Stampeders. Wore the gold alternates against the Alouettes in 2006 as the away team as the Alouettes also wore their alternate uniforms. The club last wore these jerseys on September 7, 2007, again against the Stampeders. The club had no third jersey after the retirement of the gold jersey until the 2014 season when they wore their Signature series green uniforms with the gold "EE" logo. Hamilton Tiger-Cats – Introduced a gold alternate jersey on August 12, 2006 against the Toronto Argonauts. The jerseys were always paired with black helmets and black pants. They were worn three times during the 2007 and 2008 seasons and worn for the last time on October 31, 2009 and just once for the 2009 season as the team wore retro jerseys that same year. The team had no alternate jersey until the Signature series grey uniform was unveiled in 2014. The grey uniform was worn three times between 2014 and 2015 and no alternate uniform was worn in 2016. Montreal Alouettes – Began wearing an all-black uniform in 2001 and continued wearing them until 2004 and two more times in 2006. Introduced a blue alternate with red numerals in 2005 and wore these jerseys in the 93rd Grey Cup. The blue alternates were worn again in 2006, 2009 and 2010. The team introduced a new black jersey, this time with grey numerals as opposed to blue, for the 2007 and interestingly wore this jersey five times during the regular season while wearing the primary home jersey four times. This jersey was worn until the 2010 season and was brought back one more time for the 2013 season. The team wore dark grey and blue Signature series uniforms for the 2014 season and wore them two times in each subsequent season. Ottawa Rough Riders – Never wore a third jersey. Ottawa Renegades – Introduced a red alternate jersey worn with white pants on July 1, 2005 against the Montreal Alouettes. Worn four times for the 2005 season including a game where they wore the jerseys with black pants on September 16, 2005 against the Winnipeg Blue Bombers. Ottawa Redblacks – As part of the Signature series, the Redblacks wore red and plaid uniforms three times during the 2014 season, including an away game on November 7 against the Toronto Argonauts. They wore them twice again in 2015. They did not wear alternate uniforms in 2016. Saskatchewan Roughriders – First wore a black uniform with green numerals during the 2002 season. The jersey was always worn with black pants and was last worn in 2006. The team introduced retro-themed green alternate jerseys worn with silver pants in 2007, based on the uniforms first worn in 1967. From 2010 to 2012, these jerseys were worn with white pants. Also in 2010, white retro versions of these jerseys were introduced, but contrary to most CFL teams, the Roughriders continued to wear these until the 2012 season for select away games. In 2013, the green retro jersey was worn with green pants. In 2014, the team remodeled the retro green jersey, this time more resembling the uniforms from the early 1980s. Also in 2014, the team wore their Signature series uniforms twice, while also wearing "blitz green" for the first time. Both the retro uniform and the Signature series uniforms were worn twice during 2015. The team introduced a modified version of their retro uniform in 2016 that did not have shoulder numbers. Toronto Argonauts – Were the last franchise to introduce a recurring alternate jersey, which they did in 2007 on July 26 against the Montreal Alouettes. The jersey was Cambridge blue and partnered with their Oxford blue pants and was worn once in 2007, 2008 and 2009. With the retro uniforms that were introduced in 2009, the team also paired the retro Cambridge blue pants with the alternate jerseys for a monochrome Cambridge blue look that the team wore twice that year. The team wore an Oxford blue retro jersey in 2010 that made a return appearance in 2011. The team became the first in the CFL to wear a white alternate uniform that wasn't based on a retro uniform when they wore their Signature series jerseys in 2014. This uniform was worn once at home and once away in both 2014 and 2015. No alternate jersey was worn in 2016. Winnipeg Blue Bombers – Wore gold alternate jerseys as part of their 75th anniversary season in 2005. The jerseys were worn with either white pants or blue pants and were worn every season through to 2010. Additionally, for the three seasons that the Blue Bombers qualified for the playoffs, the gold jerseys were worn for each game, both home and away, and in the 95th Grey Cup. Also in 2010, the club wore retro 1970s era royal blue jerseys, which were then adopted as the alternates for 2011 and 2012. A modified 1980s era royal blue jersey was introduced in 2013 and was also worn in 2014. The Blue Bombers only wore their 2014 Signature series uniforms once, whereas all other teams wore theirs at least twice, possibly due to negative fan reception. To date, that was the last time that the club has worn a third jersey. In the National Hockey League, each team has its own distinctive sweater design (hockey tradition usually refers to jerseys as "sweaters," because hockey players actually wore sweaters on the ice until the 1960s). Prior to 1995 (save a few isolated instances), each team only had two sweaters – one for home use, and one for the road. One sweater was dominantly white (or in a few instances, a light color), and the other dominantly a dark color. The home team has first choice of uniforms from the 1917–18 to the 1969–70 seasons (the white sweater was predominantly the road sweater with the dark sweater predominantly being the home sweater), but from the 1970–1971 to the 2002–03 seasons, white sweaters were worn at home and dark sweaters were worn on the road. Since the Third Sweater Program was introduced in the 1995–96 season, some teams wore the third sweater at home, which would have required an opponent to carry two sets of equipment and uniforms with them while on the road. This was alleviated starting in the 2003–04 season, when new rules mandated dark sweaters at home and white sweaters on the road. The first third sweater in the NHL was a gold Pittsburgh Penguins home sweater used in the 1981–82 and 1982–83 seasons, then as the only home sweater in the 1983–84 season. With the introduction of the third sweater, teams were allowed to use a completely new style for their sweater (and in some cases, corresponding alternate socks, helmets and other uniform elements), especially for the annual New Year's Day NHL Winter Classic outdoor ice hockey game event. Every team in the league except the Detroit Red Wings, the New Jersey Devils and the Montreal Canadiens have introduced a third sweater at one point since the program began. However, Detroit used a "throwback" sweater for the 2009 Winter Classic (which was used again against the Chicago Blackhawks on April 11, 2009) and New Jersey used "throwback" green and red sweater against the Pittsburgh Penguins on March 17, 2010 (which were later used in the 2014 NHL Stadium Series), including a replica helmet worn by goaltender Martin Brodeur that was made to look like the original helmet he wore in his first game with NJ back in 1992. Montreal introduced several "throwbacks" in 2009 to celebrate their centennial season. Following the NHL's lead, the NBA and NFL also use third sweaters. 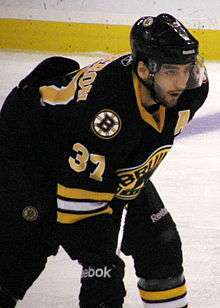 The NHL suspended the Third Sweater Program after the 2006–07 season because of logistics problems involving the new Rbk Edge style NHL sweaters, which were unveiled at the 2007 NHL All-Star Game. An exception was made during the 2007–08 season for the AMP Energy NHL Winter Classic, where the Pittsburgh Penguins and the Buffalo Sabres wore throwback uniforms for the game. After the one-year absence, third sweaters returned to the league for 2008–09. Once a team has been granted permission by the league to use their new design, they will request and be allowed ten to fifteen games during the season in which they may use their third sweater. They may continue to use the third sweater in subsequent years as well. This alternate design allowed the team's appearance to flirt with radical designs which have occasionally gone on to become the new looks for some of the participating teams, though they can also be quite garish. An infamous example is a third sweater planned to be used by the St. Louis Blues: an over-the-top mix of trumpets, musical notes and staffs, it was rejected by then-coach/GM Mike Keenan, who reportedly banned the sweater from use. Sales of third sweaters to fans have also provided significant additional income for cash-strapped NHL teams. For example, in 2013 the Calgary Flames introduced a third sweater in exactly the same colours as their primary home sweater, but with the addition of "western styling" mixed with traditional hockey sweater features such as laces and the team name in script on the front. Teams are also allowed to wear their third jerseys as often as desired in the Stanley Cup Playoffs; however, they may only wear two different uniforms during the playoffs (one at home and one on the road). Examples of teams who wore third jerseys in the playoffs include the Dallas Stars (in 1999), the San Jose Sharks (from 2009 to 2014), the Anaheim Ducks (in 2014), the Minnesota Wild (from 2013 to 2016), the Washington Capitals (in 2015), the Toronto Maple Leafs (in 1999), and the Pittsburgh Penguins (in 2016). Several teams have had multiple designs of their third jersey. 2003–04: Mighty Ducks of Anaheim (through 2005–06), Atlanta Thrashers (would become home jersey), Boston Bruins (c.1970 – vintage program) Columbus Blue Jackets (became home jersey for 2007–08), Dallas Stars (used through 2005–06), Edmonton Oilers (c.1988 – vintage program), Florida Panthers (former road jersey, through 2006–07), Los Angeles Kings (c.1987 – vintage program), Minnesota Wild (became home jersey for 2007–08); Montreal Canadiens (c.1946 and c.1960 versions – vintage program – 1946 version used through 2006–07), New York Rangers (c.1978 – vintage program), St. Louis Blues (c.1979 – vintage program) Vancouver Canucks (c.1976 – vintage program; worn as fourth in 2005–06, in use as third in 2006–07). 2007–08: During the NHL playoffs, the Toronto Maple Leafs announced they would wear jerseys similar in design to the ones worn during their 1967 Stanley Cup run, but this did not occur because the Maple Leafs failed to reach a playoff spot during the regular season. The Pittsburgh Penguins (1968-76 blue throwback) and the Buffalo Sabres (1970-96 white throwback) were therefore the only two teams to wear their third jerseys, which happened in the Winter Classic. 2008–09: On September 10, 2008, the Carolina Hurricanes unveiled a new predominantly black third jersey featuring a flag design reminiscent of the maritime advisory flag system. The following teams announced the use of third jerseys for the 2008–09 NHL season: Atlanta Thrashers, Boston Bruins, Buffalo Sabres, Chicago Blackhawks (a vintage jersey for the 2009 NHL Winter Classic at Wrigley Field), Dallas Stars, Detroit Red Wings (for the 2009 Winter Classic), Edmonton Oilers, Los Angeles Kings, New York Islanders, Ottawa Senators, Philadelphia Flyers, Phoenix Coyotes, Pittsburgh Penguins, San Jose Sharks, St. Louis Blues, Tampa Bay Lightning, Toronto Maple Leafs, Vancouver Canucks. To commemorate its 100th season, Montreal Canadiens wear vintage jerseys from seasons 1912–13, 1915–16 and 1945–46 during selected home games against Original Six teams. 2009–10: Montreal Canadiens announce in Fall 2008 they will wear vintage jerseys from seasons 1909–10 and 1910–11 during selected home games against Original Six teams to commemorate the 100th anniversary of the team. In addition, the Bruins and Flyers donned vintage jerseys for their game as part of the 2010 NHL Winter Classic at Fenway Park on January 1, and the Flyers then changed to the Winter Classic white sweater as their away jersey for the 2010–11 season; new third jerseys in the 2009–10 NHL season were worn by the Calgary Flames, Colorado Avalanche, Florida Panthers, Minnesota Wild and the Nashville Predators. The Blackhawks also debuted a new third jersey which is a variation of the Winter Classic jersey used in 2009. 2010–11: The Buffalo Sabres and the New York Islanders are officially changing to the third as their home (and a new white road uniform based on same) for the 2010–11 season. Buffalo introduced a new third jersey loosely based on their AHL predecessor, the Buffalo Bisons, to celebrate the team's 40th anniversary. The Columbus Blue Jackets have introduced a new third jersey, wearing it on selective home and away games only. The Anaheim Ducks also introduced a new third jersey as well along with their home and away jerseys. The Los Angeles Kings unveiled a new fourth throwback jersey, which is based on their purple and gold jerseys worn from 1967 to 1979. The Pittsburgh Penguins retired their powder blue alternates and unveiled their new third jersey at the 2011 NHL Winter Classic at Heinz Field. On November 12, 2010, the New York Rangers introduced a new heritage jersey in a celebration of their 85th anniversary, which is worn during home games against Original Six teams and on all Sunday (later Saturday) home games. The Rangers' heritage jersey debuted on November 17 in a game against the Bruins. The Anaheim Ducks introduced a third sweater on November 26. The jersey features the "D" duck foot logo on the front and the colors are primarily black and orange. On the shoulder of the jersey, there is a patch of the Mighty Duck logo which was no longer used in the 2006–07 NHL season with the logo the Ducks are currently using. 2011–12: The Los Angeles Kings relegated their purple and black road jerseys as alternates, while assigning the black and silver jerseys to regular use at home. They made a white and black away jersey based on this design. The Ottawa Senators replaced their black "SENS" alternates with a retro barberpole design based on the original Senators jerseys. The Pittsburgh Penguins and Washington Capitals promoted their 2011 Winter Classic jerseys to third jersey status, while the Toronto Maple Leafs unveiled a new blue retro alternate based on the jersey worn when they won the 1967 Stanley Cup Finals. Even though the Tampa Bay Lightning unveiled new logos and uniforms, their alternate "BOLTS" uniform was retained. The New York Islanders added a black jersey as their alternate, which was retired towards the end of the 2013-14 season. 2012–13: No third jerseys were unveiled in the lockout-shortened season, but the Buffalo Sabres, Edmonton Oilers and Florida Panthers dropped their third jerseys. 2013–14: The Buffalo Sabres unveiled their two-tone third jersey, with the front of the jersey in gold and the back of the jersey in navy. The Calgary Flames replaced their classic 1980s third jerseys (which are now worn once per season) with a red and black jersey featuring a throwback 'Calgary' script and modern design features. The Carolina Hurricanes retained their black third jerseys despite unveiling a new uniform set, while the third jerseys of the Los Angeles Kings and Pittsburgh Penguins were dropped. 2014–15: The Anaheim Ducks promoted their third jerseys to regular use at home, adding a new white uniform based on the same design. The Pittsburgh Penguins unveiled their new black and gold third jersey, which is based on their road uniforms worn from 1980 to 1992. In addition, the Philadelphia Flyers promoted the jersey they wore at the 2012 Winter Classic to alternate status. After retiring their black third jersey towards the end of the 2013–14 season, the New York Islanders added a blue alternate jersey, which was previously worn at the Stadium Series game at Yankee Stadium in the previous season. The Tampa Bay Lightning changed their third jersey to a black alternate, while the Los Angeles Kings and Arizona Coyotes unveiled new throwback jerseys, the latter replacing their black third jersey. 2015–16: The Anaheim Ducks introduced a new orange third jersey. The Edmonton Oilers introduced a new throwback alternate orange jersey, while the Vancouver Canucks added a black throwback jersey that was the team's road uniform from 1989 to 1997. The Washington Capitals added a red alternate jersey based on the white alternate jersey they used from the 2011-12 to the 2014-15 seasons. In addition, the Colorado Avalanche and the New York Islanders changed their alternate jerseys. The two-tone third jersey worn by the Buffalo Sabres was permanently discontinued. 2016–17: The Pittsburgh Penguins' third jersey that was worn during the 2014–15 and 2015–16 seasons was promoted to regular use at home. The Los Angeles Kings and Philadelphia Flyers introduced special third jerseys. In recent years the third jersey has appeared in the Australian NRL, with every team having a 'home' jersey, an 'away' jersey and a 'heritage' jersey. The NRL does not currently require third or alternate jerseys, because most clashes can be resolved with away jerseys or using modified under-20s jerseys. South Sydney Rabbitohs used a white jersey (the under-20s away jersey) against Canberra in 2008, even though the NRL stated that the Souths and Canberra jerseys don't clash. They have a similar jersey for 2009 which contains tribal Aboriginal and Maori designs. Parramatta Eels have adopted a home (yellow with blue designs), away (blue with yellow designs, however in 2007 this was the alternate) and alternate (white with yellow designs, however in 2007 was away) jersey scheme. They (along with Manly-Warringah and Illawarra) were one of the pioneers of away jerseys in rugby league in Australia. Canterbury Bulldogs use a jersey reminiscent of their training jersey as a clash strip (also their under-20s away jersey). They also wear their Berries strip from the 1960s as a heritage strip and a similar (yet quite different) jersey (white with blue and black butcher stripes) for trials. Brisbane Broncos have been known to wear a blue and aqua alternate jersey, however, it is rare to see as blue has become a colour hated by Queensland rugby league fans. Wests Tigers have worn a white version of their 2008 home jersey, switching the white/orange areas, and introduced a "10 Year Anniversary" jersey, which is white with black and orange V's. They also wear modernised versions of the old Balmain Tigers and Western Suburbs Magpies strips from the 1980s. Though not technically third jumpers, the Centenary of Rugby League celebrations left all teams with special jerseys for the Centenary round, and in 2009 several teams wore the same jerseys (the Newcastle Knights, however, wore their foundation strip, in 2008 they wore a Newcastle Rebels jersey, which was the first Newcastle team in the NSWRL and played in the NSWRL's foundation season. The New Zealand Warriors wore a jersey symbolising the history of rugby league in Auckland, with a dark blue jersey with 2 white V's, while the Melbourne Storm wore their 2000's light purple with white lightning bolts away strip in the 2009 Heritage Round, while in 2008 they wore their foundation jersey with V's). As a result of the above point, the Sydney Roosters have used five jerseys in 2008. ↑ Barnes, Denice (21 September 2012). "A-League's Central Coast Mariners turn pink for Mingara Recreation Club and Pink Ribbon Day". Herald Sun. ↑ "Brightfield support bright pink initiative". Football Federation Australia. 15 September 2014. ↑ "NFL and Nike Flood Thursday Night Football with Color" (Press release). National Football League. October 30, 2015. Retrieved December 13, 2015. ↑ NESN staff (October 30, 2015). "NFL Color Rush Uniforms to Debut in Upcoming Thursday Night Games". New England Sports Network (NESN). Retrieved November 9, 2015. ↑ Ciampaglia, Dante A. (November 9, 2015). "Nike Unveils New Color Rush Jerseys for Thursday NFL Games". Sports Illustrated Kids. Retrieved November 9, 2015. ↑ Lukas, Paul (October 30, 2015). "NFL Prepares for Thursday-Night 'Color Rush' Games". ESPN. Retrieved November 9, 2015. ↑ Rovell, Darren (September 13, 2016). "Nike expands Color Rush program to all teams". ESPN. Retrieved September 23, 2016. ↑ "When 'Les Bleus' went green and white". FIFA World Football Museum. Fédération Internationale de Football Association. 2016-01-22. Retrieved 2016-10-23. ↑ Bellshaw, George (2016-07-06). "Why Wales and Portugal aren't wearing red kits in Euro 2016 semi-final". Metro News. Retrieved 2016-10-23. ↑ Drayton, John (2014-05-29). "Spain ordered to make new World Cup kit after FIFA say strip clashes with Holland". Mail Online. Daily Mail. Retrieved 2016-10-23. ↑ "truecoloursfootball.co.uk". truecoloursfootball.co.uk. Retrieved 2012-08-19. ↑ Duxbury, Nick (16 Apr 1996). "United drop grey strip after black day". The Independent. Retrieved 16 Jul 2012. ↑ New York Yankees. "The curse of the Yankees' 1912 road uniforms". Nj.com. Retrieved 2012-08-19. 1 2 "Whatever it Takes". Calgary Herald. 31 Aug 2013. Retrieved 16 Dec 2014. ↑ "CFL ends working agreement with NFL". National Post. Canada. November 25, 2007. Retrieved Dec 16, 2014. ↑ Celebrating Our Legacy: The CFL goes "Retro"
↑ CFL Celebrates the Seventies! ↑ Jersey to be a golden success? ↑ "St. Louis Blues 3rd sweater features Arch, leaves out trumpets". Yahoo!. Retrieved 2008-09-19. ↑ "Flames Unveil New Third Jersey To Mixed Reviews, With Some Saying It Is "Bland"
↑ Anderson, Shelly (May 29, 2010). "Heinz 'in' place to be Jan. 1". Pittsburgh Post-Gazette.